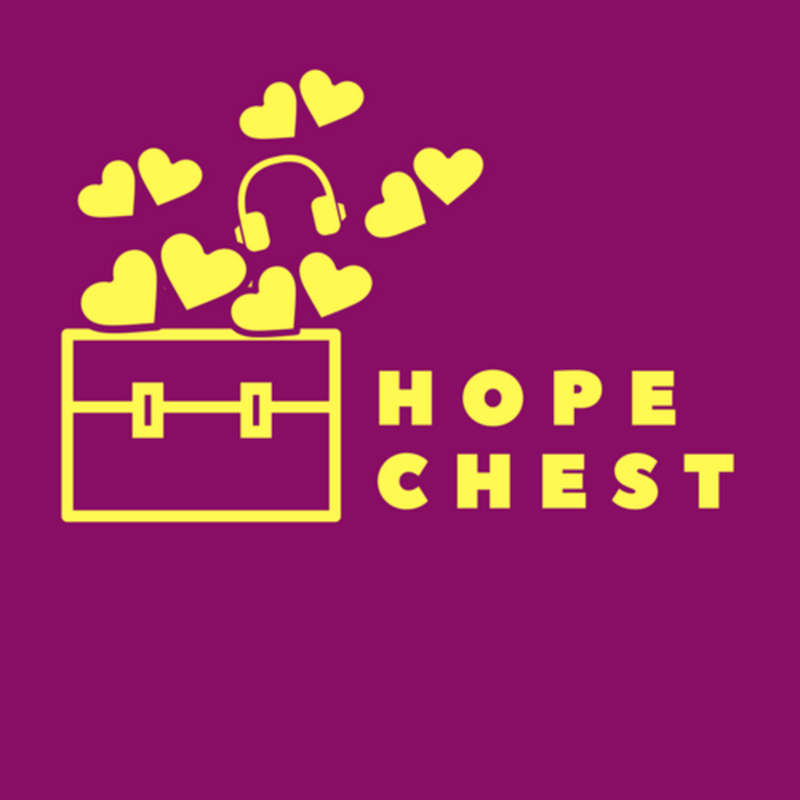 Hope Chest is a personal essay podcast written mother-to-daughter. Listen to every episode at Apple Podcasts and SoundCloud. Below is the text for Episode 7: Something Borrowed, Overdue. Listen along here. It is not that I believe it would be easier if I were the one preparing to marry. On the contrary. It would not be easier — not for me and especially not for you. If I had prioritized romantic partnership with the intent to move a man into the idea of home I’ve spent the first eight years of your life defining, I would have also needed to become a tightrope walker, an artful mediator, a sentient balance beam. It would not just have been a negotiation of new love, but also an implosion of the family dynamic it has taken us all this time to build and an intricate assembly of a life unlike any you’ve known. I know this because I’ve been through it. My mother married for the first time when I was 10, just two years older than you are now. Because I was always with her, because even if she would’ve preferred to share custody with my father, she couldn’t have, distance and a lack of either parent’s deep desire to do so being significant barriers, I was, by necessity, a part of my mother’s courtship process. This was only true if the relationship was serious. I spent most summers away from her, bouncing between family homes a few hundred miles north of where we lived in Baltimore. She did her casual dating during those dog days. By the time I returned for school, all evidence of any men had usually been cleared. But the man she would eventually marry was someone I saw twice a week, school-year-round. He was at Wednesday night bible study and Sunday morning service. Sometimes he arrived in uniform, fresh off a patrol shift. The other kids in children’s church thought his squad car was cool. The boys paid particular attention to his holstered pistol. I hadn’t registered any of those details about him. Before he started dating my mother, he was just one of the many men who ushered or preached or otherwise served at our church. I suppose I distinguished him best by his heavy Jamaican accent; I didn’t know anyone else from Jamaica then, and they way he spoke, so distinct at times from the way I did, always tended to catch my attention. Then they became an item and during the mere six months they dated, I accompanied them on the occasional outing. They’d buy me ice cream and I tagged along on their nighttime strolls. I’d fall asleep across the backseat of his car as they took drives along winding suburban roads. I didn’t mind it at all. I was 10 with limited experience interacting with husbands or fathers; I would not have known enough about them to mind. I just wanted my mother to be happy and, from what I’d observed and overheard, I assumed that if she married, she would be. I had no way of knowing how drastically the cadences of my home life would shift when she did. Any parent’s marriage to someone new marks an era of change for the child. But it is the custodial parent’s marriage that has more immediate implications. Overnight, my mother’s home had been infiltrated, the House of Brown — one woman, one girl — became the House of Brown-Higgins, headed up by a man who expected both women and girls to submit to his supposedly superior leadership. 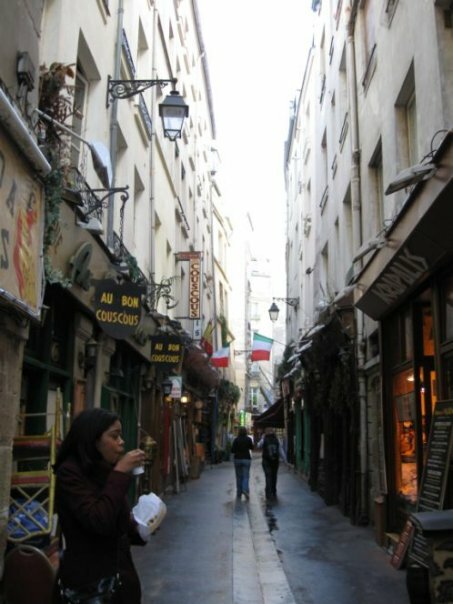 I was suddenly the resident of a home where at least one room was always off-limits, where I could no longer walk around in varying states of undress, where a pistol was now kept in a closet, where rules that were never well-explained to begin with were swiftly enforced, where the environment was a bit too restrictive for comfort. That the shift felt so drastic to me was not entirely his fault. A mother and child left to their own devices long enough forge bonds that are nearly impenetrable, even for a biological father. How much harder, then, must it be for a stepfather, especially if no one involved in the family has the emotional toolkit necessary to be intentional about including him? I wasn’t always miserable while my mother was married. My stepfather wasn’t cruel to me. He wasn’t even often unkind. He was just a foreign entity infringing on my friendship with my mother, forcing her to declare her allegiance during any conflict, and accusing us of conspiring to exclude or usurp him, if she ever took what he considered to be my side. He remained that way for the 11 years that he lived with us. When he left he did so after months of failure to pay the mortgage. Eight weeks after I graduated from college, my mother received the first letter of foreclosure. The only marriage I’ve ever inhabited was theirs. As a member of their household, I saw and overheard and internalized the entire arc of their union. And it was, by far, the most bewildering experience of my childhood. Their relationship dissolved the year I turned 21. I have been in no hurry to replicate or to attempt to improve upon it in any partnership of my own. Even now, a full 18 years later, finding a husband holds no particular appeal to me. It can all shift too fast. My mother lived with a man for 11 years but it took fewer than 11 months for the life she’d built as his wife to unravel. I was as entangled in the rapidly loosening threads as I’d been in the ties that bound. This is the nature of being an only daughter, and it can be as difficult to negotiate as being anyone’s mother, though few people ever admit it. I am telling you this because it remains to be seen whether you will be a wife or a mother, but you were born a daughter. It is the role you are likely to embody the longest. I would not have you ignorant of its obligations. I got to know your father amid the dissolution of my mother’s marriage. We’d been dating nearly three months when the foreclosure notice arrived. Six months later, my mother and I were one night away from eviction, with a half-packed house around us and no home ahead, awaiting us. You cannot determine compatibility in crisis. Well, you can, but you shouldn’t. This may sound counterintuitive, for it would seem that it is only through hardship that you learn who will stand alongside you and help you stay your course. But that is only true if you have also experienced joy. It is only true if you’ve found at least your early love unfettered. Otherwise, you can never be certain if your relationship is built on romance or rescue, on dates or on desperation. I’d known your father less than a year when he carried my family’s mattresses on his back. I was embarrassed about their stains. He helped us pack. I was ashamed that he had to. Under the cover of night, we hauled, wholesale, the contents of closets and cabinets and corners to curbs in other families’ housing complexes. I cried and he pretended not to notice, pretended that racing the clock to beat the county sheriff to morning was normal. I think that was the night I first allowed myself to consider him a partner. I think that’s when I knew I would yield a long stretch of years to loving him — too long a stretch, on the strength of this one selfless gesture. But whenever I felt unsteady after that, whenever I doubted the viability of our relationship, the memory of that night resuscitated it. There are only so many times you can revive what it would be more merciful to euthanize. This is what always scared me about marriage — that it would mean a lifetime of clapping the paddles together and willing what’s left of my energy into a partner whose heart has stopped pounding for me. It is your father who is preparing to marry. In many ways, this is easier. In a few key ways, it is not. When this was all still hypothetical, before you were born and then in the years afterward when your father and I were still single, I had a clear vision of how I wanted our coparenting dynamic to expand, whenever new partners would need to be folded into it. Try as I might — and I did try, though not urgently or with ardor; your father did, too, though not very compellingly — I could not imagine the two of us marrying. This was true before you. It remained so after. We only get along well when we are not responsible for one another. And marriage is nothing if not the assumption of responsibility for lives other than your own. It always stood to reason that one or both of us would bring someone new into your family. I used to imagine that when day came, we would approach the prospect communally, the lot of us frolicking in some incense soaked fusion of familial bliss — symbiosis of the type that can only be attained when hurt is forgotten and grace reigns supreme. I modeled that fantasy on the only family I know of who seems to have mastered it: the Kravitz-Bonet-Momoas. When I was your age, there was a real live pixie who played a role on a popular television show, one of the few in the 1980s with an all-Black cast. Here name was Lisa Bonet, and a host of little Black girls thought she was impossibly cool, too cool to be entirely human. She must’ve been, in addition to Jewish and Black, part-faerie, half-elf, and entirely ethereal. Everything about her was both eccentric and accessible. Her hair and her clothes and the languid, wistful way her words rolled out of her in a cadence akin to song: it all felt experimental and otherworldly. But her choices, both onscreen and off, were what tethered her to earth. Choices like marrying a rock star, bearing his child, shirking the shackles of stardom in the wake of it, and divorcing him all in a matter of a few years. The legend of Lenny and Lisa appealed to me so as an adolescent. I devoured all interviews I could find about how they shared custody, rebuilt their relationship as friends, and parents after their breakup, and willed themselves beyond the halting awkwardness of moving on. They learned the dance, apart, together. Years later, when Lisa Bonet remarried and bore two more children with another inordinately gorgeous celebrity, Jason Momoa, Lisa, Lenny, and their daughter Zoe simply widened the family circle and left it unbroken. Both Lisa and Jason had been raised by single mothers. Zoe had been raised by intermittently single parents. They’d all found, in this careful configuration of modern family, a recipe for remaining whole. This is is the life I have wanted for you: an unconventional closeness born of trial and error; parents who are constantly forgiving themselves and each other; a life beyond the quotidian. We will not become like the Kravitz-Bonet-Momoas. As parents, our temperaments don’t lend themselves to it. If it is up to me alone to reach for this, I am not sure we will grasp it. Though I can support what your father is doing, because we were once something to each other that seemed predicated not as much on love as on on survival, and you must always root for the person who emerges from trauma, less haunted, I still have the hardest time admitting to myself that I want to spend my life with anyone other than you. It is hard because I am not sure I really do want that. It scares me. You cannot commune with a couple who’s mustered the courage to love anew when you are still contending with your cowardice. The part of myself that allows for romantic love is the part I have least developed. It’s the only area of my life where I have not been fully committed to growth. To the extent that marriage is one of my desires, it is not one I am willing to give voice. I am too proud to set my intentions on anything I am not certain I can have, anything I do not trust myself to handle. But in the small of heart, in the hollows, there is at least a tiny curiosity about what kind of wife I would be and what kind of husband I might someday attract. Would we survive each other? Would the family dynamic already evolving then simply expand to include him? Would the lot of us leave the country together? Would we toast on the ship deck at dusk then retreat to our cabins, trading off caretaking of all of our kids on alternating nights? What would it mean to open our separate silos and let all the love we’ve pile high inside them pour out in the clearing? These questions are not kept in a roomy place. They remain in the hollows. Perhaps I will explore them for you later, when I have grown slightly braver. Until then, I am mostly content to remain alone, at least for now. I have known enough of togetherness, of forcing forward a failing concept of family, to know that I find it more exhausting than exhilarating. I only want the love the rises. I have only known the love that causes me to fall. I do not believe you will inherit such aversion to marriage. I do not believe you will know so intimately the kind of love pulls you under. I am hopeful you will have your father and his fiancee to thank for that. I do not know how I will spend the day that your father gets married. It is not a day to which I’ve devoted much imagination. Now that it is imminent, I suppose I should. He says that he will pick you up the night before, so I imagine that you will be part of the full experience. I imagine that you will be happy. The woman you have come to know as a caring, encouraging friend will now become your stepmother. You have had ample time to adjust to this and, for you, this has been my only wish: a seamless transition from having a single, dating father to having a married one. I have done work around supporting this transition: the work, mostly, of conversation. We have talked so much about what stepparenting means. We have whispered about what to expect of a wedding. I have fielded a forest of whys. To do so, I had to refocus my gaze, away from the trees. Until recently, I still possessed a slip of bark your father had given me on our first Valentine’s Day together. I’d asked him to carve our names into a tree. And when the day arrived, he brought me the actual tree: a sawed bit of branch about four inches wide and one inch thick. On the flat of its surface, he’d soldered our names, a small plus sign between them. In those early years, he tried hardest on holidays. It was as though the gift, if properly chosen and presented with the right sort of flair, would carry the work of relationship-building we’d failed at the rest of the year. I do not remember much of anything I ever gave him. They were boring, forgettable gifts: clothing, electronics, store credits. He was far better at gifts than I. I tried to be thoughtful in other ways. I tried to be honest. When you are with someone for several years and live as transient a life as I, there is always some vestige of a past left to unearth. It crops up in your grandmother’s spare room closet; the side pocket of a bag in your rented storage unit; the dustier, unopened boxes, kept behind the ones out of which you live, the ones left neglected until you finally find time to rifle through and discover there is nothing there you need to salvage. I had gotten rid of almost everything: old diaries we’d co-written our tiny handwriting inked on adjacent pages, photo strips produced behind the curtains of booths at any number of malls, crescent moon earrings whittled of wood. Whenever I’ve come across anything from the period of years your father and I spent as a couple, I purge it. The tree bark was harder to part with. But even it has been misplaced now. Even sentimental value should depreciate, in situations like ours. This seems the most appropriate wedding gift: to long for nothing, to let go of everything. Your Mothering Mileage May Vary. Suppose every year is a pearl. We add the year to the slowly unspooling thread that is our lives. The strand looks like nothing you’d find under glass, nothing worthy of sale or display. The strand has no uniformity and little discernible beauty. Most of the pearls are pebbled or bulbous, gritty or oddly marbled, misshapen, under-formed. Cracked. Then you live a pristine year, one in which you do not experience unimaginable loss or a betrayal deep enough to stagger you, one mercifully devoid of grief and plentiful in unanticipated joy. You receive an opportunity much greater than the one you pined for during the pebble year, and you stumble upon the love you prayed for during the year you cracked. None of the tears that milked up the marbled year appear during this one. And before long, 12 delicious months have passed. They yield you a pearl that emerges spectacularly whole. It is spherical and opaline, as pearls are intended to be. And you cannot help but twirl it endlessly between your fingers until you can feel the heat that such methodical friction generates. This pearl could cause momentum, other pristine years to follow. Whatever you did right could become a replicable formula. You could be entering an entire decade of such faultless years, uniformly gorgeous enough to display under glass, worthy of protecting with lock and key. Or you could find yourself flailing mere months into the formation of the next pearl. You could feel every necessary irritant acutely. You will empathize with the oyster and finally understand the world. You’ve been holding it all this time, after all, cradling it in your palm, piercing and prying and wresting free what it holds for you each year. The world has opened itself to you so achingly and you have taken from it, hungrily, since you were born. Now that you can comprehend the pain you must inflict, and not only endure, to add every year to your life, the oyster itself is much harder to hold. The world is a writhing thing. It is harder to handle. I have learned a lot in the past 18 months. 2016 was the year of the pristine pearl. 2017 and 2018, at least till now, have been harder to hold. Both have contained moments at which my grasp of the world came close to slipping. I have learned more in this fidgety discomfort than I did in the year of plenty. But the toll that learning has exacted is silence. The page, expecting as always to be filled with lovely sentiments about the rewards of mothering, even under inopportune circumstances — and perhaps, especially because of them — must remain blank for awhile. For the last year and a half, after seven years of insisting that I was fine parenting a child without much hands-on help from her dad, pretending that I was fine with the contribution he did make, because, perhaps, it was the best he could do, I finally confessed the con. I was never okay; I’d just had a lot to prove. He’d walked away from our relationship on the same day we found out I was carrying his child then decided that he wanted to “co-parent,” first from 3,000 miles away and a few years later, once a week (or so) from an hour away. It seemed important for me to do everything he was opting not to do, competently enough to make him feel like he wasn’t missed. It didn’t occur to me that he’d respond to that by starting a different family with someone else. I thought he’d respond by making himself indispensable. It was temporarily unfathomable that he’d be capable of buying a home, proposing marriage, and family-planning with someone else, when getting him to tell me when he’s about to pick our kid up, in further advance than two hours of arrival seemed too taxing a request. But it wasn’t just possible. It was easy. In the end, I think that’s what drove me to confess that I had never entirely given up on him. Though too few of our years had been happy ones, there were 16 of them in all. We’d met at 21, had a child at 30. We were 37 then. It was too long a time to let pass as though none of it had mattered. It had all mattered, and I’d been too proud to admit it. You do not, after all, admit to someone who abandoned you that you should’ve accepted his apologies earlier. You do not say to the person who does too little parenting that you would rather him do too little with you than watch him do more, with someone else. You do not admit how much it kills you that there are now several people in this world whose only frame of reference for your daughter’s family are him and a woman you have only seen once. I now know firsthand how humiliating all of that is to say, even if it must be said, even when it changes nothing. Love is not what you profess in the interest of self-preservation. Love is not what settles at the bottom of desperation. Love is letting go. More specifically: Love is letting go of everything that he was not, for you, so that he can be everything he has become, with someone else, for your daughter. Do not be fooled, however: as obvious and inevitable as that may sound: the process of achieving it is artless. It has taken me longer than other women to let go of who I was before becoming a parent. Some impulse knitted deep within stubbornly twists against what motherhood demands. There is much that I’ve grown to love, but I have never fully settled into the sacrifice of it. Though more radical moms than I will tell you that you do not need to sacrifice too much of yourself to mother, I have, unfortunately, not found that to be so. The truth of that assertion would depend on how adaptable you are to begin with — wouldn’t it? — on how easily you could fold family into who you already were or how thoroughly it would upend your former sense of yourself? More than boogers and bowels and homework battles and public tantrums, more than sleeplessness or clinginess, more than random emissions of gas or liquid, more than eight years of daily tears over trifles for which she rarely offers timely explanation, more than fears about an adolescent future spent contentiously, it’s the idea that I have to relinquish my right to rage, quiet my recurring resentment, and pretend that my innate impulsiveness simply ceased to exist when I became a parent that bothers me most of all. These were all traits I could keep in check as an only child. There had always been room to express them; I could do so in moderation. But a mother who is always in the presence of her child does not have room to rage; it sets too poor an example. It alienates the child. A mother who receives anything from the father of her child cannot admit frustration with the many things she does not receive; it appears too ungrateful. It alienates the father of the child. 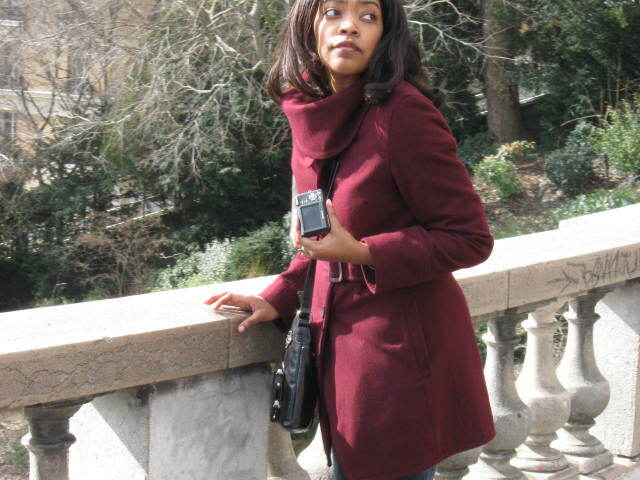 A mother cannot extemporaneously purchase a single plane ticket to an international destination — because she can only afford one and it’s too good a flash deal to pass up. There is no one who will watch her child when she is away and she should not expect anyone to do so. I am not an unselfish person. That is what being unable to write anything decent in the past year and a half has taught me. I am mean when I feel most creatively unfulfilled. I turn feral when I feel abandoned. And under either circumstance, spending time in my company is ill-advised. My daughter does not seem to mind this. I am quick to apologize to most people, but I reconcile with her fastest of all. When I can help it, I do not create cause for such reconciliation. I attune myself to a frequency where annoyances rarely find purchase. I seem most patient with all of it, then. I seem like the picture of calm. Because none of this actually matters, does it? Not if we’re honest with ourselves. Not really. My aunt, the clinical therapist, tells me quite often that parents need only be adequate. A child does not need nearly as much to thrive as we insist children do. And some will not fare well, no matter how much effort their parents exert. Anguish is baked into all existence; everyone bears their share and the distribution of shares isn’t fair. As true as I imagine this must be, a mother must already feel adequate to be comforted by it. I only feel adequate on the odd days, and even on some of those, I am skeptical. My daughter does not seem to mind this, either, though she has reached a stage, at nearly 8, when she confuses my getting upset with her with me disliking her as a person. She knows that I love her. It’s obvious. But she knows that I’m ill-tempered, too. Mercurial and silent and sad. And she does not yet understand how many things we are allowed to feel at once. Her eight little pearls are like baby teeth, all small and white, all falling, so far, onto her life’s strand, just as they should be. Still, she wants touchstones of affirmation: Of course, I love you. I’m not mad at you; I just need you to stop interrupting me and raising your voice when I’m telling you something. There is no one I like more than you. But please get off of me now. I need a little space to breathe. I knew I would not be the type of mother for whom sacrifice would be easy. I would never have confessed it before my daughter was born — I am not sure I even realized it then — but I have always been my own favorite person. Before I became a parent, I could let anyone go, if I needed to; I had me. Motherhood rendered me unrecognizable to myself for awhile. It was a long performance for which the curtain never went down and there was always a need both for improvisation and improvement. I’ve been thrown a few curves I could not account for, in the past year and a half. It forced me to cancel the show. The curtain wasn’t just down; for awhile it was a shroud. I am no longer someone who wants to prove anything to anyone else, not in parenting or any other area of my life. I am simply committed to better understanding who I have become. I do not want to offer her to anyone else, not as a writer or a woman or a mother, until I have a better handle on who she is. I am more unsteady on my feet these days. And because unlike my daughter, I did not grow up believing I could ask the people around me, “Do you like me?” without fearing or disbelieving the answer, I understand why she so often needs to hear it these days. She needn’t worry. Now, she’s my favorite person. Do I like me? is the more challenging question. I wrote all of this because I was worried. One week from today, my daughter and I will be at a writing residency in Putnam County, NY. I need to warm up in advance of the journey. As much as I’ve longed for and dreamed about having a full week to write without feeling any guilt over leaving my daughter behind in order to attain it, I’m nervous about how productive I’ll be. I’ve been trying not to put much pressure on output, but I want to maximize the time (especially since a number of people contributed to my last-minute crowdfunding campaign to make it easier for us to get there. I want to be a worthy investment). It has not been the most emotionally healthy time in my post-parenting life and by extension, it’s been the least creatively productive time in my post-parenting life. I’ve found it difficult to muster the will to write or the belief that anyone wants to read about this (or anything else on which I have an opinion. I’ve also found it difficult to develop cogent opinions, as in case you haven’t noticed, the country is in more intense shambles than usual). I’ve been writing about this stuff for a long time now, and living it is even less interesting than writing about it. Fortunately, I’ll be working on a novel draft and Hope Chest stuff while I’m there. I’m not presumptuous enough to expect that anything I post anywhere will resonate with anyone else. But I am always hopeful that something will, with someone. Life is hard. No matter how difficult yours is, no one else’s is enviable. Protect your own pearls. They’re priceless. Episode 4 of my new, indie podcast Hope Chest is available for streaming and downloading now. I’ve decided to suspend the practice of posting the whole text of an audio essay here, because I’m trying very hard to shape up an essay collection for publication and it just makes sense to hold the written content in reserve. But here’s a little backstory on the piece in advance of listening: in December of last year, I was hit with this sort of double-slap romantic reality check. It’s a long story. Like, a dates-back-16-years-to-when-I-was-21 long. But I’ll try to keep this relatively brief, because the whole point here is for me to compel you to listen, not to bog you down with a long read. Suffice it to say, there’s “alone” and there’s alone. “Alone” is being unattached, noncommittal, and by yourself, romantically, but with partners — or the idea of partners — that you’re secretly (and perhaps it’s even a secret to you) holding in mental and emotional reserve. In my case? There were two. In-case-of-emergency-men. I’ll-call-you-when-I-need-you men. You-may-not-answer-the-call men. I-have-all-the-time-in-the-world men. Car-advice men. Comfortable-silence men. Uncomfortable-silence men. This-will-never-be-what-I-want-or-need-it-to-be-but-it’s-still-chill men. One was my co-parent. The other was a friend I dated for a blink-and-you-missed-it few months a few years ago. In December, I had to give them both up — like, for real, for real, cold turkey — simultaneously. I don’t yet know how to describe what that felt like. They both already felt so distant; I’d thought I’d already seared all the edges off of any romantic notions for one of them long ago, and I’d been going through an interminable, years-long process of doing the same with the other. Imagine the shock I felt, then, when I felt an inverse of the emotions I assumed I would about both of them, whenever I used to envision “letting go.” It was… a lot messier than I’d presumed. A flash of heat for the guy for whom my heart had gone cold. An ambivalence about the other, who had long set me aflame. No one was more startled than I.
I’m still fairly inarticulate about how emotionally scattered I felt for the first three months of this year. I was breadcrumbs in the woods. I was swallowing myself. There was no path. That probably won’t be what you get from this essay at all, actually, but that was the motivation for it. It’s about women taking the very necessary time to understand themselves. Our selves are constantly changing. Here’s the thing. I may have been languishing in the same stale feelings for far too long, but I didn’t recognize it, because my circumstances kept changing. What would make me store in-case-of-emergency company as a younger, childless woman and what would compel me to do the same at 37 with a school-aged kid was dissimilar enough to fool me. I had taken for granted that I was being honest with myself about my feelings (or lack thereof), “checking in with myself” and repeating mantras (and outright lies) to train myself out of negative emotions or pretending not to have positive ones, if I thought they’d be a burden to whomever I might express them to. But all the while, despite all the years I’ve spent single, despite all the time I spend literally at a physical remove from my exes, it hadn’t occurred to me that I was still viewing myself and processing the events of my life, through some prism that considered them and their feelings their potential reactions and all the hypothetical ways I might process them moving on with their lives. When the time came for all of us to actually move on with our emotional lives, with some sense of finality, I didn’t do anything I thought I would. I spent the first quarter of 2017 like an amnesiac, looking at the simplest things and wondering what I thought of them. Eating foods and surprising myself at my enthusiasm about its flavor. (Turns out I’m really partial to biscotti with anise seeds baked into it and falafel makes me smile really widely. I am not as into curry as I thought I was.) And then there were all the selfies. A crazy number of selfies. Because I needed to figure out again what makes me feel attractive or interesting or mysterious or desirable and I’d finally, finally decided not to gauge that against what I perceived as other people’s interests and preferences. These months contained a thorough undoing. But they (and it) were quiet. I guess “Woman to (Will-Be) Woman” is part of what I continue to take away from how I’ve spent them. Private Black Motherhood and Public White Protest. Mother: What is a woman? It is a trick question. The definition will always differ, depending on the person being asked to provide it. You will define womanhood differently than I, for instance. It will mean something else by the time you become one than it meant almost 20 years ago, when I did. But I will still ask you this question often anyway. I will ask it, in part, because we are Black and this means that even though you are six, there are many adults — even some in positions of authority — who will begin insisting on your womanhood in just a few fleeting years. Depending on your height and when your curves come in to assert themselves, pressing upon all the previously flat and straight plains of your body, those adults may ogle you. They may reach for you on the street and curse at you as you run away. (While you are still a girl, always run away.) They may accuse you of something, then try convincing the judicial system to see adulthood in your still soft cheeks, your brace-bedecked teeth, the hair you’re still only allowed to straighten on special occasions. They did this to Catherine Jones in 1999. They tried to do it with Bresha Meadows just last year. You should know that some adults begin to treat at black girls like women as early as age 10 or 12 or 14. It has happened to other little black girls as early as 7 and 8. Countless ones, whose names we may never know, but whose disappearances Black mothers quite feel acutely as we look down into the faces of our own daughters and implore them, admonish them: Don’t be in no hurry. Take your time getting grown. You must figure out for yourself what a woman is. You must never lose sight of yourself as the girl that you are and be certain that you are ready to molt girlhood when the time comes. It cannot come late enough for me. If I could, I would certainly postpone it. But it is not for me to decide. My prayer is that you will be the only person who will have a say in deciding it. You did not speak a language I could clearly understand until the middle of your fourth year. Before that, when you spoke at all, you added -en suffixes to words where I would not have guessed they could belong. On your tongue, water became wah-den. Granny became Go-den. And for a while, without any reason I could decipher, you called Nana, your great-grandmother, Morning. When you were two-and-a-half, I had you assessed. You weren’t talking much at all then. The women who came into our home with their folders and tote bags, jotting across their clipboard pages when you could complete a puzzle, scribbling furiously along their carbon triplicate forms when you could not, suggested that I take you to an audiologist. Within six months you were being fitted for hearing aids, with an estimated mild to moderate loss in both ears. I believe that, the way that you hear greatly informs the way you interact with the world. It’s what led you to the language you developed. It’s what keeps you locked in to your vivid imagination, with its cast of unseen characters and its action that only plays inside your mind. And sometimes, I’ve felt that it’s kept me locked out. You have been attending school for nearly four years now but this is the first year when asking you what happened there is an action I can expect to be met with a descriptive, decipherable answer. I have had to learn that you are on your own time. We have always been on a road where I have had to trust you to indicate when you are ready for us to pull over and ready for us to move on. I think I am a better parent for it, at least I hope that I am. You are not a child who would benefit most from having my will imposed upon you. You are not a child whose ideas I want to mold so that they mimic mine. I am not even sure that, with you, such a task would be possible. You did not have much time here before the core of American civilization found itself deeply compromised. 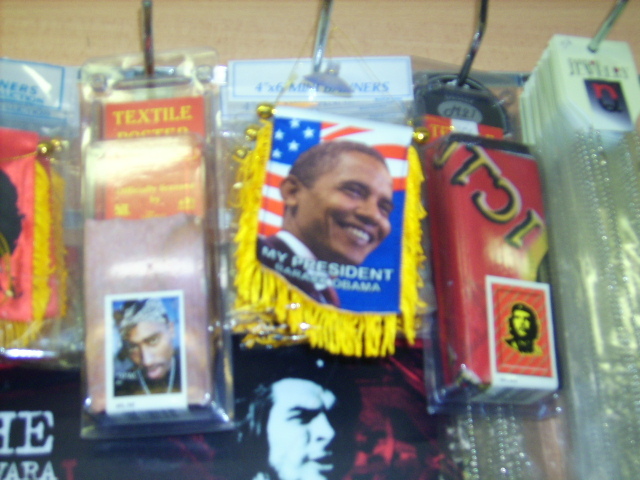 You did not point to television screens and cry out, “There’s Obama!” until his very last year in office. Nana told you who he was. She made you practice saying his name. O. Bah. Ma. You seemed to like repeating it, seemed to relish the ease with which the vowels swept through your throat. Like speaking out was easy. I know you will ask me when you are older and finally see photos of other children, hoisted upon their parents shoulders or tucked safely between chest and arm: Why didn’t we carry signs? Why didn’t we go picket injustice? Cry loud, spare not, wear pink. Cuss without blushing. Why didn’t we find ourselves in the company of all those other women? Washington is so close, after all. We could’ve. It is impossible to know if you will ever be satisfied with my answer. I am still quite unsure of decisions like these, concerning you, myself. In truth, it may have been better for you to go. Perhaps you would have understood, on a visceral or emotional level if not yet an intellectual one, that something is amiss with all the world, and now, what has long been so is finally affecting our centuries-insulated country in ways White people no longer feel safe ignoring. Women have volunteered to lead the charge of dissent because women have far more to immediately lose than men, now that this man and his cronies have assumed the national seat of power. Maybe, at six, that would have been useful for you to intuit, if not yet truly know. But if I may be entirely honest — and with you, this is ever my aim — I do not much feel like being a warrior. I want to remain the mother I’ve already fought so hard to become. And she is soft-edged, yielding, and kind. She spends her weekends wrapped in a hot pink Snuggie with her child, staving off her constant financial woes, silently keeping her existential inner conflict — about housing or untimely death or co-parenting or politics or the romance she sometimes pines for but has not yet found — in check. She frequently dissolves into giggles. She hugs hard and delivers smatterings of kisses to every inch of exposed skin. She is not carefree, neither is she careless. But she is about the business of preserving the sanctity of her domestic life. And for her, this is its own resistance. She remembers the Black women who fought in generations before her, who were forced to have children they did not want or plan, who were unknowingly sterilized or implanted with unregulated birth control without consent, or denied clean, safe, affordable housing for children they were shamed into delivering but could not afford to raise. I think of what they must have been fighting for — and it was the hope and the freedom my generation thought it had finally achieved in the eight years that the First Family was black and the Black mother in the White House declared herself a mother first and a freedom-fighting advocate second. I am not yet finished pretending I can afford myself the same luxury. I, too, want to be the mother I have fashioned myself to be, first. I want to fold my activism into this existing model. For me, this means figuring out how best to support the other mothers who feel so far removed from the idea that a poster and a chant will reunite airport detainees or close the miles between them and their stranded, visa-less children. It means thinking of and praying for them in a somber and meditative space. It means writing and writing and writing, because for me, writing is more effective than marching at making my efforts feel less futile. I would rather teach you what’s at stake by explaining that your school, with its large percentage of students from immigrant families, is filled with classmates who are facing a far different set of challenges and odds than you. But so far, I haven’t told you anything. Nana no longer beckons you to the television when the president begins to speak. She has not taught you to recognize him, has never encouraged you to utter his name. For now, I wish to keep it this way. My wish for you is that you will stay right where you are, so often locked in, by your unique way of hearing, the vestiges of that language you invented when you were a toddler, the lingering barriers of communication only those who love and protect you can currently breach. At present, I believe you are safest there. And as in all things, I will look to you for my cues. You will tell me when you need to know more. You will have so, so long to be a woman. And, for as long as men like this president and his mostly male team hold political sway, fighting for your basic rights — human, racial, gendered, reproductive — will be as disheartening as it is essential. If you are like me, you will grow weary of demanding what should have been yours by right of birth. I am more than happy to do this for you. I will defend you, myself, and others in the ways I hope I can be most effective. As a woman, I know how important it is for a woman to lift her own voice. As your mother, I know how vital it is for your to find yours. I can imagine how much time it will take and how distinct it will sound. This is not a process I intend to rush. I suspect that there will be plenty left for you to fight, when your time has come; and I believe we will find ourselves in highly capable hands, however you choose to do so.